I just got my baby girl down for bed and rather than spending more time on Pinterest than I should be, I figured I’d do something a bit more productive…write. 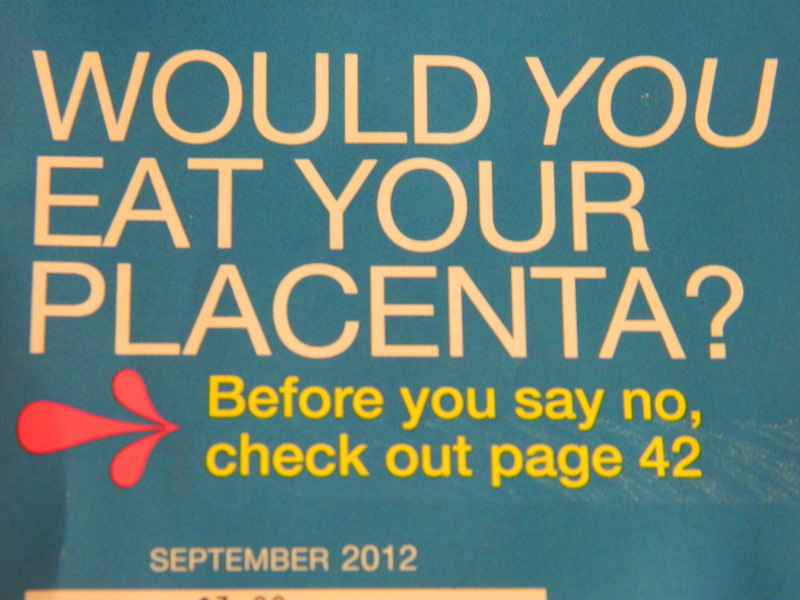 The other day I finally got to sit down and look through our kiwi magazines and on the cover of the September issue was, “Would you eat your placenta?” Now, I had no intention on sitting down to share my opinion on this matter, but figured that since 15 (yes, 15!) of my friends are expecting, I figured, what the heck? Why not share my personal story on this topic…I’m sure I will completely gross some…ok, most of my friends or family out, but there just might be a few of you that might look at it as purely beneficial. Ok, I gotta say, if you were to ask me that question five years ago, I would have said, NO WAY! I’ve heard of people sitting down and eating it with a knife and fork – like a steak dinner…sorry, but I just couldn’t do it. It wasn’t until after I got pregnant that I started reading about placenta encapsulation – and then our doula taught us even more, and we learned all the benefits. 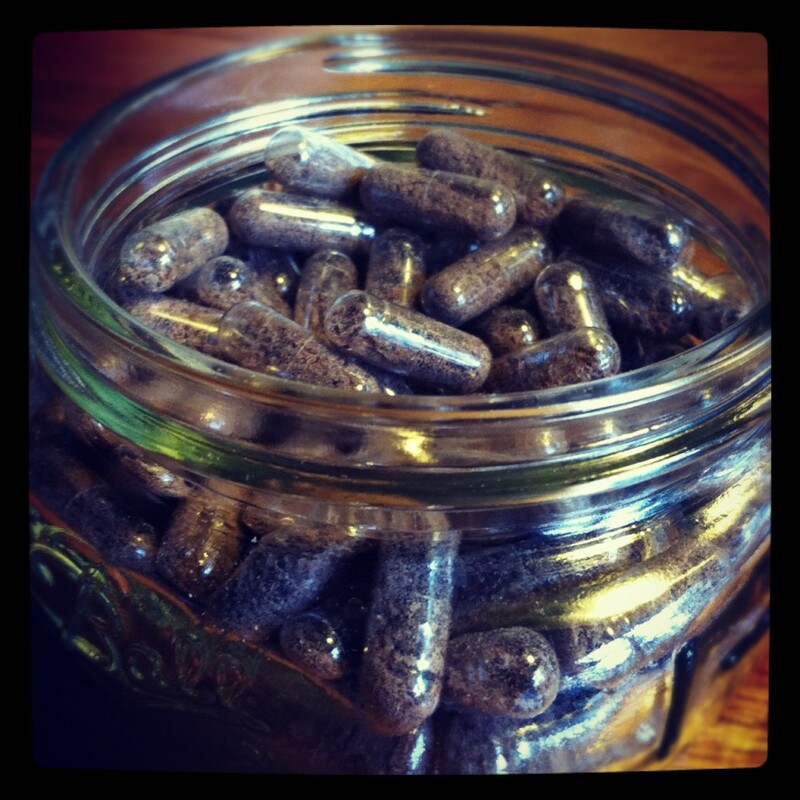 So, what is placenta encapsulation? Encapsulation is the process of cooking, dehydrating, and blending the placenta and then putting it into capsules. So, I was still on the fence about this, but after doing further research and reading testimonials from mamas who did this – I decided it could only help! To learn more about the benefits, I encourage you to browse http://placentabenefits.info/ . There are other great sites and articles – just Google placenta benefits or placenta encapsulation. The placenta is composed of healing chemicals. Our doula did the encapsulation for us – so I never saw or handled the placenta itself…not sure I would have been able to take the capsules had I actually seen it! So, thank you, Sarah Larson!!! In my research, I found that placenta encapsulation will cost you somewhere between $150-$300….worth it considering all the benefits. My placenta produced 159 capsules (some women get as little as 50 and as many as 200 capsules). So…did it help?!? In my opinion, YES! As you may have read in one of my previous posts, the birth of our sweet Willow happened much differently than we had anticipated. I cried a little every day, but not because I was depressed – I was somewhat traumatized by the birthing experience – that combined with the fact that I was unable to produce breast milk. Not a day went by that I didn’t squeeze my sweet babe and my love for her is never ending…our bond was immediate and strong. So I did not experience PPD or the baby blues – I was very fortunate. I believe my placenta also helped shorten the postnatal bleeding – 3 weeks. I’ve heard horror stories of some women who bled for 6-9 weeks! Yikes! I also believe that by taking the capsules, my incision from the c-section healed fast with no complications. It’s hard to say if the capsules helped with energy and sleep because with a newborn, sleep deprivation comes with the territory!